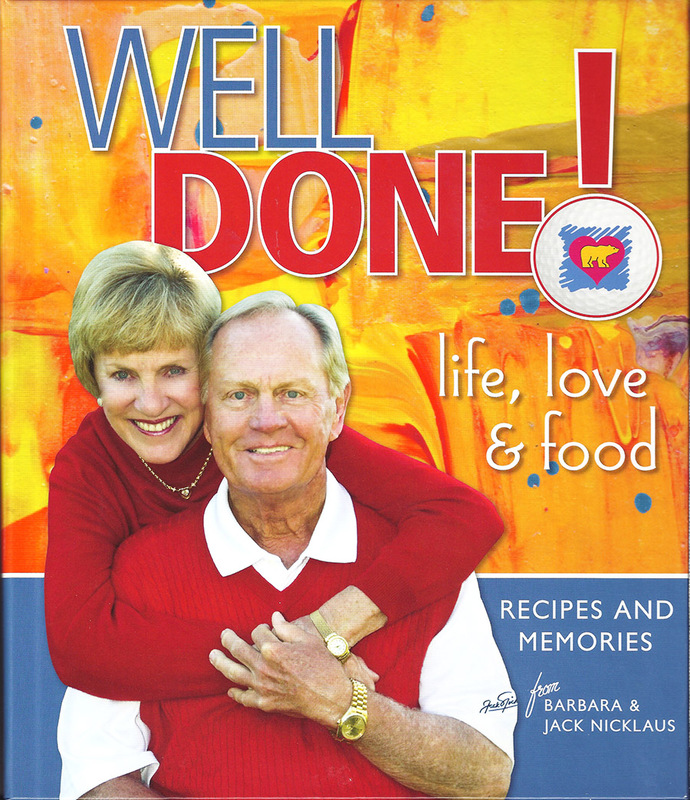 First Lady of Golf Barbara Nicklaus has teamed up with daughter Nan O’Leary, along with some contributions from husband Jack, to publish Well Done!, a 240-page cookbook that celebrates memories made around the Nicklaus’ kitchen table. The parents of five and grandparents of 22 have always prioritized family over golf, and Well Done! offers a unique look into the inner workings of the iconic American family and the memories they share. Sprinkled around and between 300 Nicklaus family recipes are family stories and rare historic and personal photos. And if the cookbook wasn’t already a feel-good read, all proceeds from sales of Well Done! go to the Nicklaus Children’s Health Care Foundation. The cookbook is available for $39.99, plus shipping, and can be purchased at the Foundation’s web site, nchcf.org, at various golf/pro shops, and for South Florida residents, The Back Porch in North Palm Beach. Jack and Barbara were married on July 23, 1960, after meeting during their first week at The Ohio State University in Columbus. The pro golfer turned patriarch launched his professional career in 1962, when the Nicklaus’ first son, Jack II, was just a few months old. Not long after came children Steve, Nan, Michael, and Gary—and a promise from Jack to never be on the road and away from home for more than a week at a time. While Jack’s record-setting career took him to all corners of the globe, Barbara, the 2015 recipient of the Bob Jones Award—the highest honor awarded by the USGA—kept things going in their North Palm Beach, Fla., home. Barbara helped the kids balance playing their own sports with attending Dad’s tournaments—and she kept the family of seven fed long before buying groceries in bulk was a thing. The Nicklaus family clung tight to their Midwestern roots. The kitchen was a place to learn family recipes heavily influenced by the culture in their native Ohio. Some recipes included in Well Done! have been passed down by members of both Jack and Barbara’s families. The book was printed out and clipped into a binder (a good thing because that floppy somehow was lost). Nan included a handwritten note to the woman who taught her to cook. Learning to cook wasn’t the only thing Nan picked up from her Mom. She also credits Barbara for her love for philanthropy, focusing a significant amount of her time on the Nicklaus Children’s Health Care Foundation founded by her parents. Making the family’s recipes available on a larger scale made sense, and so did tying proceeds to the Nicklaus Children’s Health Care Foundation, which focuses on providing children and families access to world-class healthcare. Cream sugar, butter and shortening together. Add egg yolks, one at a time, beating well after each addition. Stir soda into buttermilk and let sit for 10 minutes. Beat egg whites until stiff. Set aside. Sift together flour and salt. Add alternately with buttermilk to sugar and butter mixture. Add vanilla, coconut and pecans. Fold in egg whites. Pour batter into 3 greased and floured 9″ cake pans. Bake at 325° for 35 minutes. After the cakes have cooled combine all icing ingredients. Spread between layers and on outside of cake. Personal Notes: I decorate the top of the cake with pecans and a little flaked coconut.